Skeptical already? So was I. Any pitch I receive touting “Fashion and Earth Day” usually conjures images of burlap bags and hemp dresses. Fleece-A-Nista and Convert, on the other hand, are two worthy newcomers to the Bay Area fashion mix that are verifiable finds appropriate for such a green-minded holiday (April 22). For those city slickers out there squeezing the last of the season from the Tahoe slopes, Fleece-A-Nista has the perfect pieces for your après ski or boarding activities. 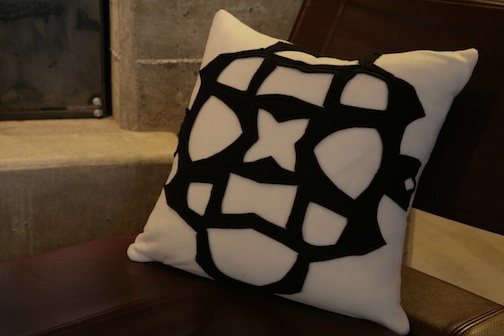 Not only does SF designer Jeanne Feldcamp create surprisingly beautiful silhouettes out of a typically technical (read: unsexy) fabric, but also her company employs a “zero-waste production” process by which all scraps are used as stuffing for her original collection of graphic pillows. Even better is the social advocacy element to her business: proceeds from the sale of the pillows are donated to the Business Council for Peace, an organization that trains women entrepreneurs in Afghanistan and Rwanda. Find her work at the upcoming Shop Social event at the W Hotel on April 20, at R.A.G. 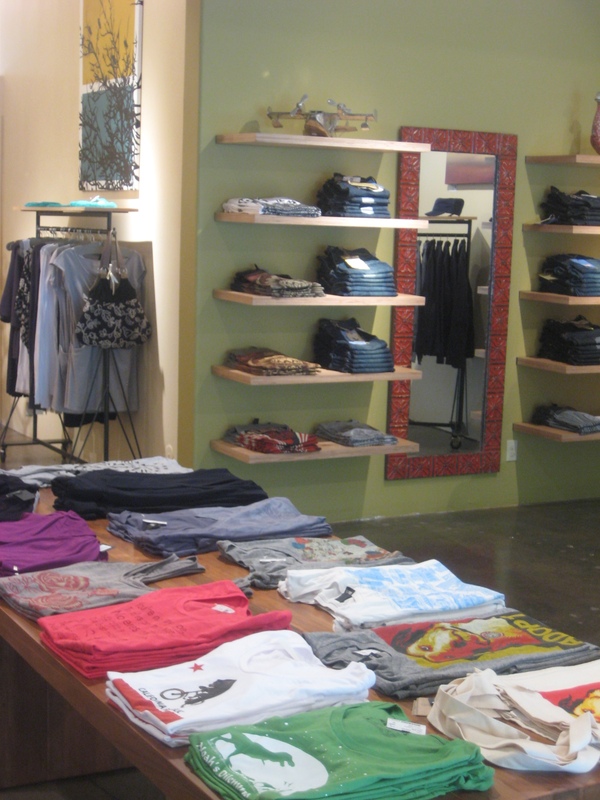 Co-Op in Hayes Valley, or College Clothing in Potrero Hill district. 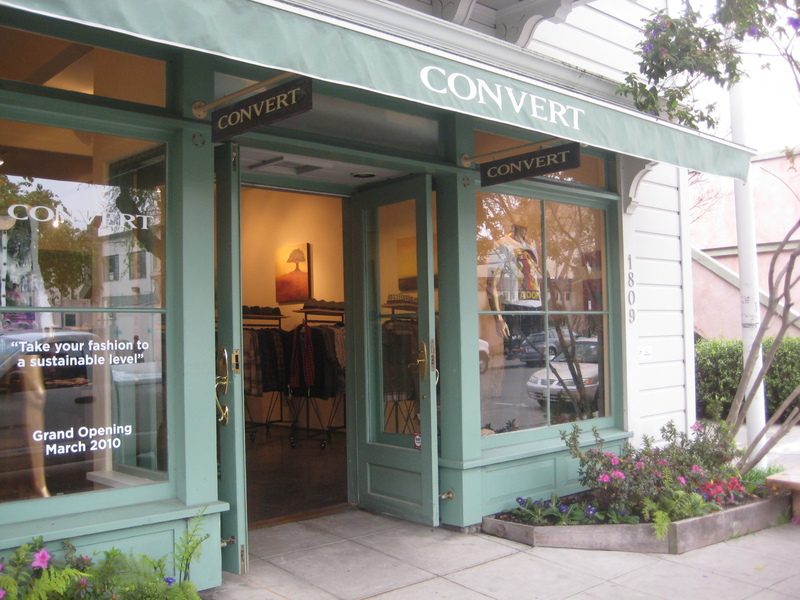 Convert boutique on Berkeley’s bustling fourth street is yet another eco-find that’s worth a shout out. Owner Randy Brewer, a longtime buyer and manager for both Rolo and Villains Vault in San Francisco, decided it was time to open his own men’s store that would create change through fashion. Instead of carrying established green surf, skate and street wear brands, Brewer contacted his favorite clothing labels, proposing that they create eco-friendly capsule collections for his store. Among the 20 Bay Area and sustainable labels Brewer hand-picked for the store, look for a smattering of women’s wear alongside tailored men’s shirting by local talent Josh Podoll ($175-$225), Nudie’s organic denim ($200), Nau’s multi-functional street wear ($115-$500), and surf and skate gear by RVCA and Hurley ($49-$120). How has the East Bay crowd received the opening so far?